Sometimes I want to run away. Not to join the circus, but to just get away from the daily noise in my head about school lunches and nursery runs and weather forecasts, and everything else that comes from being a mum of two young children. And yes, I know I don’t make it easy on myself by giving up my career and becoming a self-employed writer, but being an accountant was boring. So there are times when I need some escapism, to really switch off and lose myself in something else. It might be something frivolous or trashy or make you wonder what sort of person I am, but it’s what I need to do. I will watch pretty much any type of film, except for horror or anything creepy as it sticks in my head too much. I don’t mind a predictable romance or an all out action thriller, the mere experience of going and sitting in a chair in the cinema, with the lights off and no talking is bliss for me. It’s not quite the same watching a film at home, as I can never quite sit still through the whole thing, something always pops up – must put the leftovers in the fridge or have I written in my son’s reading diary. Or, inevitably these days, I’ll fall asleep mid way through the film. So the cinema is best, especially with a cheeky bag of pick n mix. I certainly don’t get to read as much as I used to these days, so I’m more selective about what I choose to read and if a book doesn’t hook me within the first few pages, I’m afraid it won’t get finished (sorry Dan Brown). When I do find a good one though, I’m the classic ‘can’t wait to finish it’. A good crime thriller or mystery will occupy my brain and I’ll be itching to just read a bit more. I can often be found sneaking in a few chapters if my daughter wakes at night, including an infamous two hour stint at 3.30am on holiday to finish off a particularly gripping one (Now You See Her by Heidi Perks). My favourites are the Roy Grace novels by Peter James, which are set locally to me in Brighton and are told from the various viewpoints of the main characters. There are times when a full escape is not possible, so I have to make do with turning the music up really loud in the car. Usually it’s after the nursery or school drop off, when I get to choose what I listen to, and how loud I have it. No more Moana or Trolls, in comes Led Zeppelin or Pearl Jam at full blast. Although often I will forget quite how loud I have had it on, and it will blast me the next time I turn the engine on. What’s your favourite escape route? Having some down-time/ me-time is so essential to every mum’s sanity… just switching off from parenting and doing something for ourselves makes such a big difference to our mood and mental health. And its absolutely #ok!!! 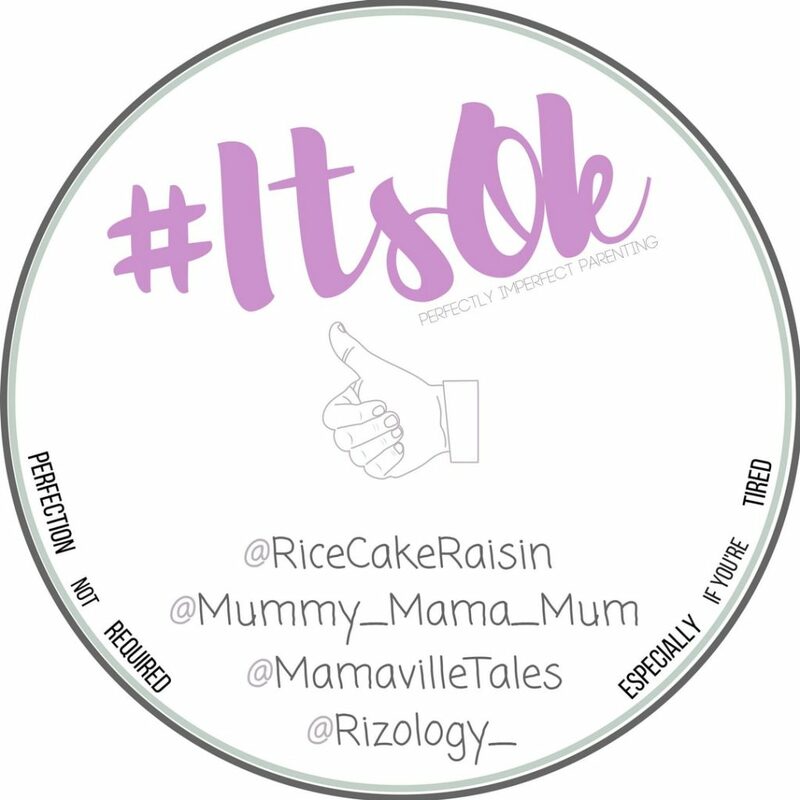 It’s taken me quite a long time to realise #itsok! So true we need to escape sometimes and without feeling guilty! Love the loud music idea. I like a good book, nature and sometimes a beer garden on a sunny day. I find walking is a pleasing escape (quite literally!) Being able to just walk at my own pace, without shouting “come on!” and “put that DOWN it’s FILTHY” every 2 minutes is bloody lovely. I sometimes get off the tube a stop before I need to just so I can get another 15 mins of peaceful walking before I hit the chaos of home. I don’t really do walking, but I’d take the second option!